Men’s socks in China used to be boring. White for athletic outfits and dark for business suits. The rules are being broken in 2019. The online sales of funky socks in China have exploded since 2018. We found this trend when monitoring the trending keywords ranked by the momentum of online sales. 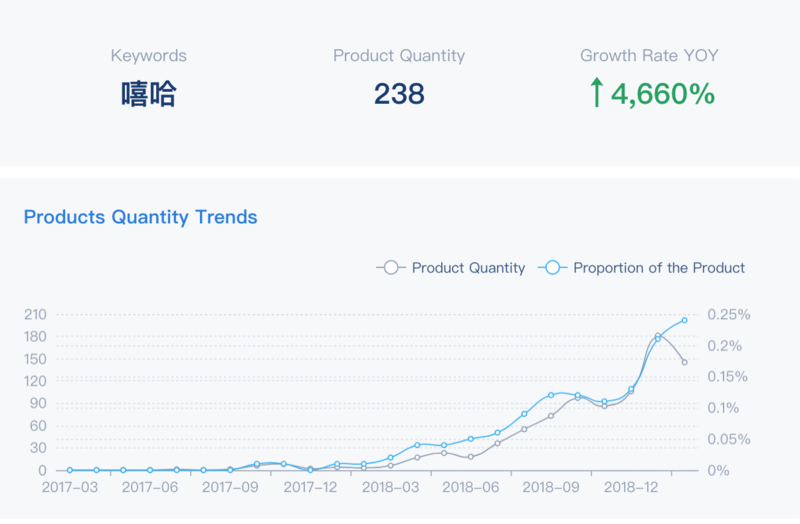 Among hot-selling keywords for men’s underwear and socks on tmall.com, we first noticed the words “Year of the Pig” and “The Zodiac of the Pig”. What does the pig have to do with underwear and socks? 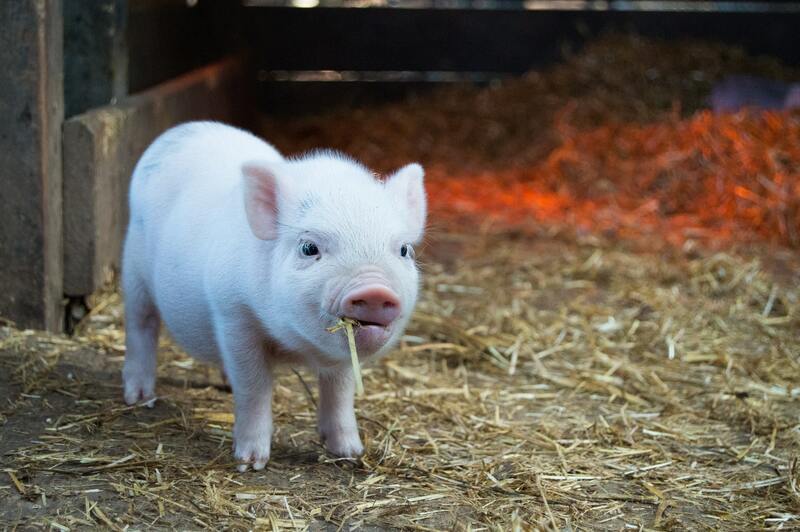 2019 is the lunar year of the pig, the last of the twelve zodiac sign animals. In ancient times, it was believed that the zodiac animal of one’s birth year would bring bad lucks, once every twelve years. Therefore, it’s a Chinese tradition to wear something red underneath to shield off the evil spirit during the year of one’s own Zodiac sign. In other words, if your age happens to be a multiple of 12, you are supposed to wear a pair of red boxers, a red undershirt, a red belt, a red wrist band, or a pair of red socks, even if you are not a baseball fan from Boston. This explains why the keyword “Pig” is so hot in this category. Now, how about the keyword “Hip Hop” or “嘻哈” in Chinese? It turns out that “Hip Hop Socks” is the Chinese term for colorful, funky, novelty, playful, and power socks. These socks feature popular slogans such as “winner winner, chicken dinner!”, bold letters of “Made in China”, significant year numbers such as “1997”, or other colorful patterns. 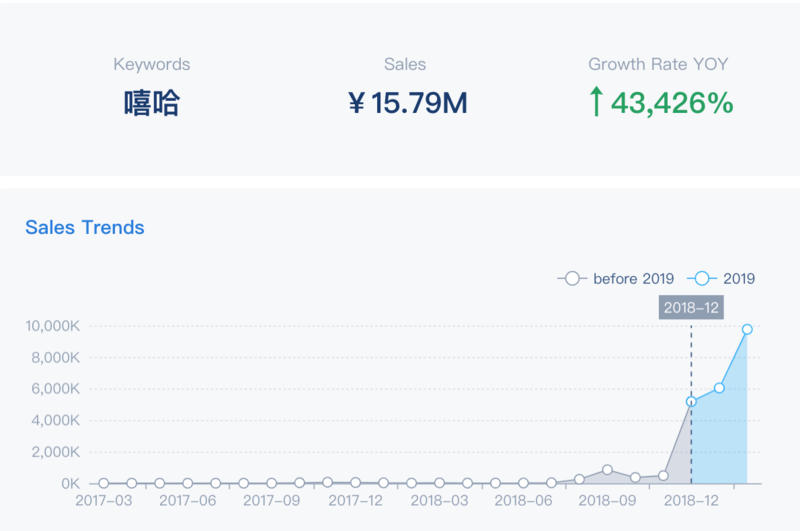 The online sales in the three months ending in February have reached RMB 15.8m, 400+ times of the number one year ago. The total number of items with the word “hip hop” has reached 238, 40+ times of last year. If we plot the top 5 brands in the hip hop socks category, only one is a major player in the entire men’s underwear and socks domain, Nanjiren (南极人 or Antarctic Man). The other 4 top hip hop socks brands are all emerging niche players. Comparing to their parents, younger generations are more comfortable expressing themselves and making fashion statements. Socks are the new front to do just that. How long does it take the other major brands to jump in this fun socks trend? Would the new “real estate” on men’s ankles become a new space for innovative marketing? 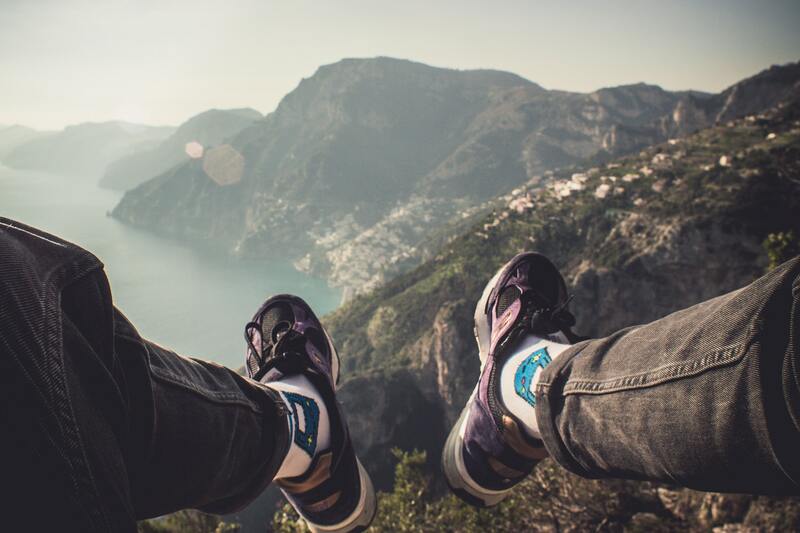 How do the large brands, challenge brands, and small brands use social media differently when marketing these highly customized socks? For more information about using Yimian’s consumer trend discovery tool, YiDrone, please email me at zhangrong[at]yimian[dot]com[dot]cn.